Job requirement is always a meticulously sensitive process. It requires a recruiter to send across half a dozen emails back and forth while setting up interviews and meetings. It does get messy and there’s a fair chance that a recruiter might skip out on certain procedures during the process. That’s where Jobsoid comes into place, simplifying a recruiter’s job by a great extent. 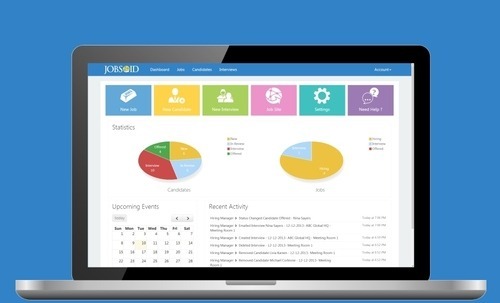 Jobsoid is an Online Applicant Tracking System that will assist a recruiter in simplifying a complex recruitment process in a company, making it a very easy monitoring task. Jobsoid helps from the very beginning. Looking to hire somebody? Jobsoid will easily allow you to post a job. Once the applications start flowing in, the system will automatically allow you to schedule interviews with various applicants. Post this, you are given the ability to shortlist applicants, rate their performances, and keep track of all the correspondents without digging into your email. Jobsoid, with its integrated calendar and job-posting capabilities negates the mundane and time-consuming process of drafting emails and managing an email client amidst the clutter. While offering a highly user-friendly system, Jobsoid is well-organized and allows big companies to handle recruitment without any clutter and hassle.